We all have plenty of clothes to even fit in our closet, but we still think we don't have anything good to wear. Yes, we know the feeling. As absurd as it seems, it only makes sense when we realize that our closet is filled with clothes that no longer fit our taste and size. We check our wardrobe and we see loads of dresses, but only two is appropriate for work. Well, all the added clutter is only giving you hints about one thing: performing a major closet spring cleaning. Sure, decluttering your closet and finally letting go of all your fashion past can be difficult. However, before you even think about the tasks you need to do, we suggest you read through our closet decluttering tips below for a stress-free closet spring cleaning. After this, your closet should be ready for the upcoming season. 1. Take all your things out of the closet. Closet cleaning can be a daunting project and it will surely take a while. So, to be sure everything falls into place. Start by taking all your items out of the closet and put them in a place where you don't have to move them out even if you don’t finish the project in one day. Of course, this place should not be your bed because you won't have space for yourself when you tuck in for the night. Once your closet is empty, vacuum the shelves and the drawers. It would be easier to start at the top and slowly work your way down. Pay attention to the hooks, nooks, and rods, too. 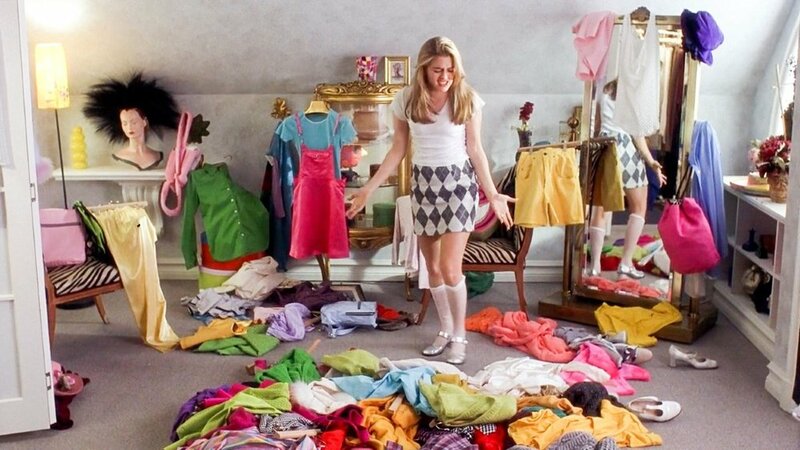 After you've cleaned the entire closet, stand back and plan. What do you want to improve in your closet? Do you want to add lighting and color to it? Would changing the pulls and hooks help keep your things organized? Create a list of things you want to do and check if any of the following tips are appealing to you. 2. 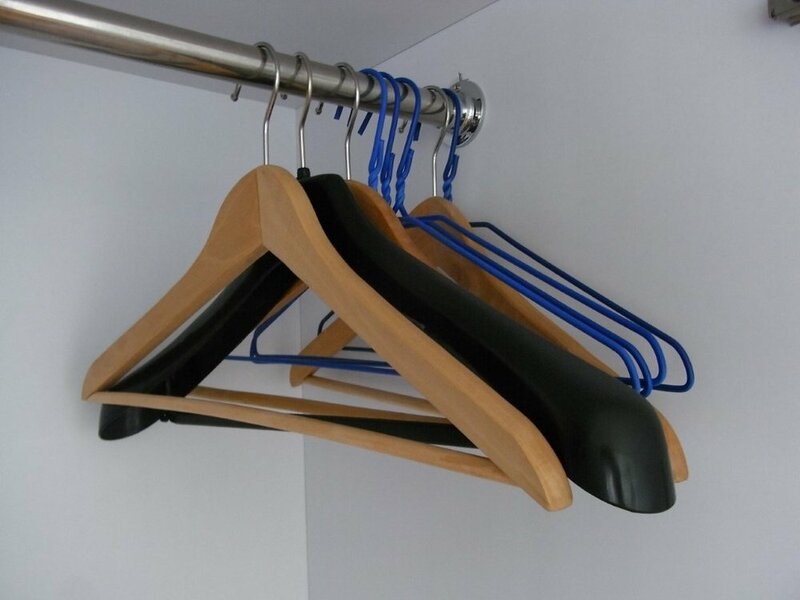 Use flat velvet hangers. We'd really want you to consider this tip. Say goodbye to those old wire hangers and say hello to flat velvet hangers. The flat design allows you to insert more clothing, while the velvet covering keeps the clothes from slipping. In addition, the use of flat velvet hangers throughout your closet gives it a uniform and neat look, which makes it feel more appealing. 3. Give your drawers a makeover. Commercial closet built-ins like that of IKEA are ideal for drawer organizing, but the drawer hardware itself is dull and boring. Give it a new look with a total physical makeover. Measure your drawer pulls or simply unscrew them. Take them to the hardware to make sure you get a new pull that fits in the existing holes. If you're feeling a bit crafty, you can also give the knobs a makeover with some colorful tapes, yarn, or paint. The closet can be dark and sometimes black. It's no surprise why some of us accidentally pair a blue shoe with a dark one, especially during the wee hours of the day. We only realize it once we arrive in the office. To avoid instances like that, we suggest you install undershelf lighting, such as lighted rods or LED tape lights. These two options are great for illuminating your closet space. If you've got a small closet, you might want to use wallpapers to improve its look. The good thing about having a small closet is that you will likely need a roll of wallpaper to cover the wall. Seeing a beautiful wallpaper pattern peeking through the closet doors is one of the simple pleasures of home life. 6. Have 'Give Away' and 'Throw Away' bins. Now, before you put everything back in, go over your things and decide which of them stays and which of them goes. You have to go through everything, including shoes, accessories, and jewelries. Once you've sorted out everything, put the 'Throw Away' bin into the garbage. The 'Give Away' bin can be sent to a clothing exchange store or given to your chosen charity. The remaining items will be the ones that will make their way back to your revamped closet. 7. Sort your things by type or color. 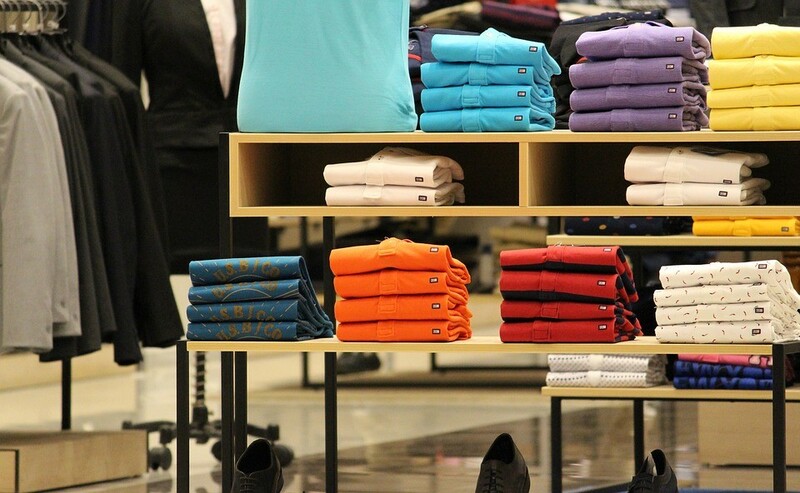 Sort the remaining things in your closet by type or color. If aesthetics is more important to you, organize them by color. Otherwise, you can choose to organize them by type. Once your closet is filled with pieces you need and love, be sure to display them for better visibility and ease. Add shelves on the sides for folded clothes. Install hooks in the wall to hang scarves, neckties, and jewelry. Hang bulky items, such as hand bags over the door. 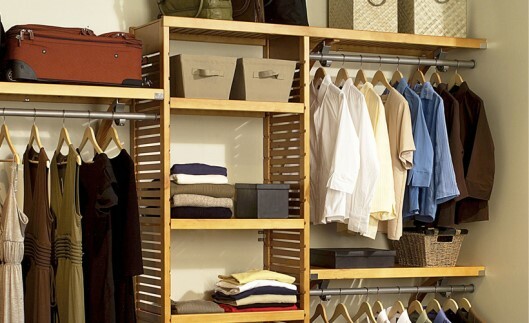 Maximize the hanging space by using add-on hangers to cascade clothes. Install another rod for hanging smaller items, such as skirts and shorts. You need not hang tank tops, lingerie, accessories, underwear, and gym clothes. You can fold them neatly and have them stacked up in the shelf. As long as it does not wrinkle, a hanger will not be needed. Socks, lingerie, tank tops, and underwear can just go in the drawers. If you don't have enough drawer space, use a portable storage bin. It's a wonderful option to create smaller apartments. Congratulations! You are now armed with lots of closet decluttering tips you need to properly organize your closet. Now, pull up your sleeves and get those vacuums and bins ready. Once you've filled your closet with items you like to wear, you should feel accomplished. Though this closet spring cleaning project may take some time, it can make a huge difference in the overall look and feel of your closet.